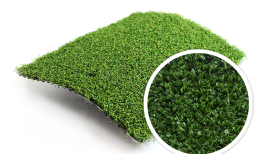 Synthetic grass is produced with tufting technology of band material into the primary backing fabric. 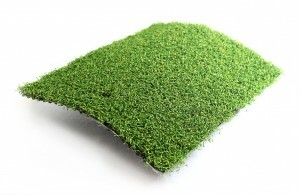 These are carpets with velor pile surface. Pile is made of 100% PP band, or 100 % modified PET, with the pile layer weight 300 – 1500 g/m2. Material composition of primary backing fabric is 100% PP. Ususally it is produced in green colour, on demand it can be produced also in another colour. The reverse side is modified with the coating base on basis of SBR latex furnished with drainage holes. To cancel the newsletter, enter your email address.